In Windows Insider Preview build 17682, Microsoft has made the Remote Server Administration Tools (RSAT) an on-demand software feature. What this means is that once you install RSAT in Windows 10, it will be automatically reinstalled when you install a future operating system update. RSAT is a tool that allows administrators to manage Windows Server from a remote computer running Windows 10. For some time, Administrators have been complaining that when you install a new upgrade of Windows 10, the installed Remote Server Administration Tools would be removed. This is because each version of RSAT is tied to a particular version of Windows and thus you need to download and install the correct version for it to work properly. 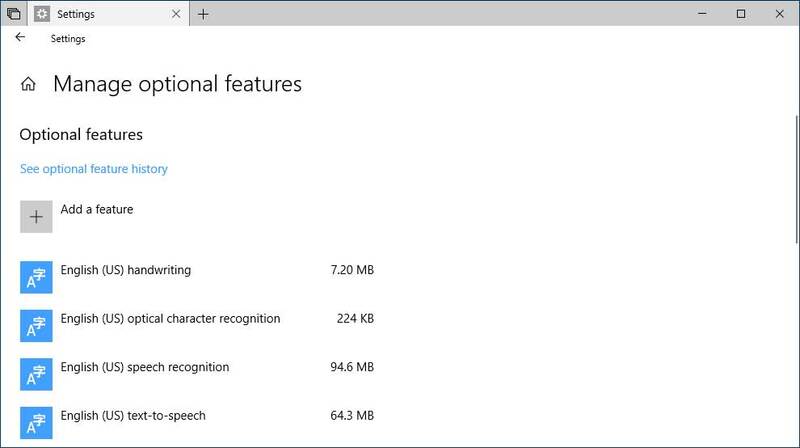 Microsoft has listened and in the next Windows 10 feature update, called Redstone 5, RSAT can be installed an optional feature through the “Manage Optional Features” settings. Once it is installed as a feature, Windows 10 will automatically reinstall it after you upgrade to another version of the operating system. This means that admins no longer need to go out and download RSAT each time they update their Windows 10 machine! In the future, to set up RSAT as an on-demand software feature, admins can go into the “Manage optional features” settings as shown below. To access this screen, just search for “optional features”. To add the feature click on the “Add a feature” button. Microsoft will then build a catalog of available features, which may take some time, so please be patient. You will then be presented with a list of optional features, and if you scroll down, will see a variety of RSAT tools that can be installed. 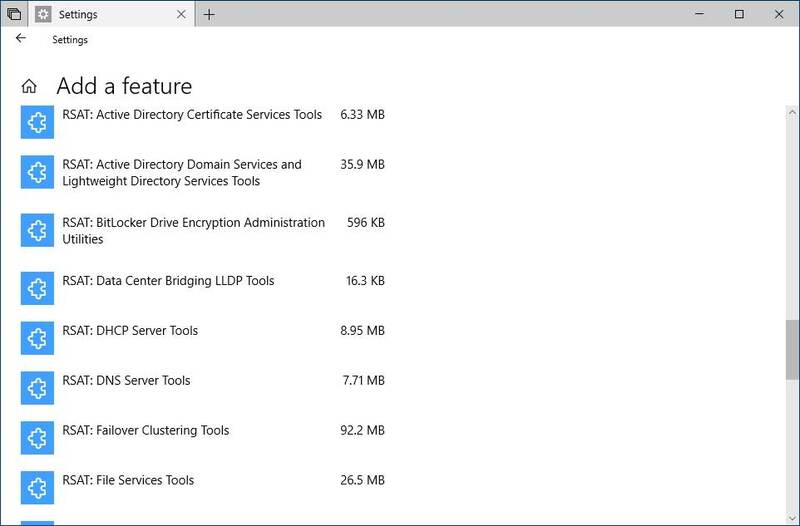 These tools include ones for managing Active Directory Certificate Services, BitLocker Drive Encryption, DHCP Services, Clustering, and more. Once you install an RSAT tool using this method, it will always be reinstalled when Windows 10 is updated in the future. As this is currently a new feature in the latest Windows Insider build 17682, you will not see it in the current version of Windows. If you wish to test this feature, you can sign up as a Windows Insider and install the latest build.